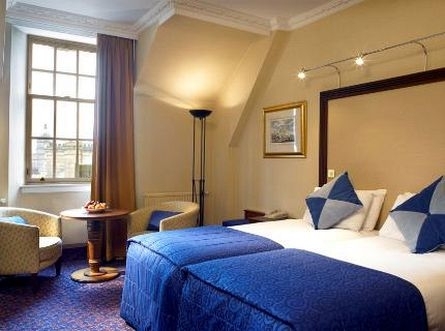 The Carlton Hotel overlooks Edinburgh’s famous Royal Mile and its location on the North Bridge puts it at the heart of the Scottish capital. 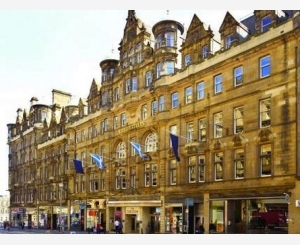 This prestigious hotel is also ideal for guests arriving by rail as the city’s Waverley Station is just three minutes away, while for those flying in the airport is only seven minutes away. 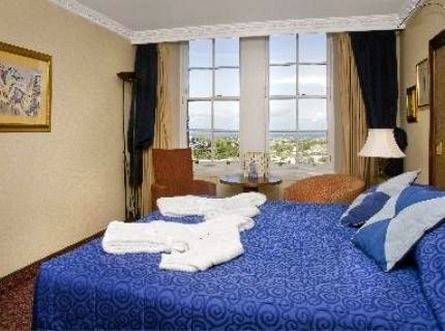 This 4-star hotel offers a choice of 189 ensuite rooms, most of which offer air conditioning. 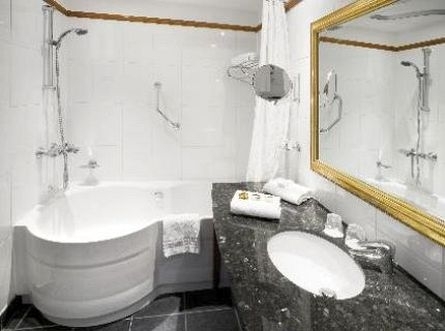 The Carlton’s standard rooms offer guests full internet access while room features include TV, telephone, hairdryer, trouser press, coffee and tea making facilities as well as plenty of desktop space. 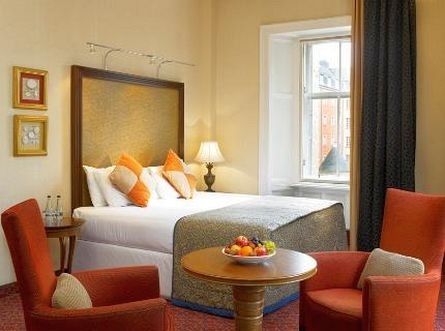 Guests at the Carlton can also make use of the hotel’s Bodysense and Leisure Club complete with swimming pool. The leisure club also offers a sauna, squash courts and gym offering plenty of activity and enjoyment. And for those who want to look their best the Carlton also has its own beauty salon. 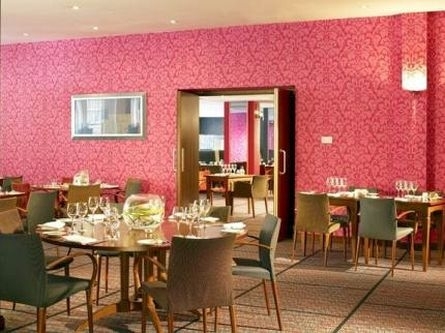 Dining at the Edinburgh Carlton Hotel is also a delight. Guests can start the day with hotel’s sumptuous “signature breakfast.” A seasonal “Taste of Summer” menu including selections of sandwiched and light bites as well as wines and cocktails is also available. There is also a special children’s menu. The restaurant is open daily from 10am to 10pm. 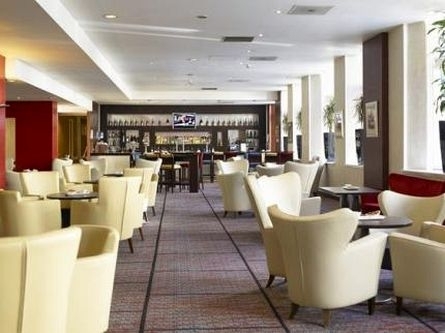 The Bridge Restaurant with its brasserie style menu is open in the evening from 5:30pm to 9:30pm. 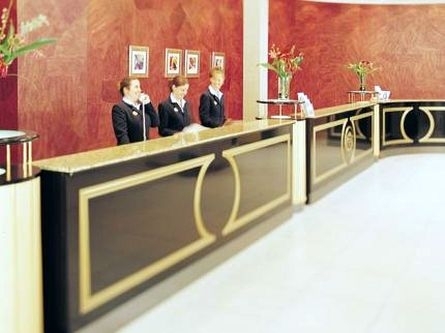 Other facilities at the Carlton include car parking, disabled access, 24-hour reception, currency exchange, safety box and wakeup call service. The hotel is also dog friendly and guests can bring their pets by arrangement. 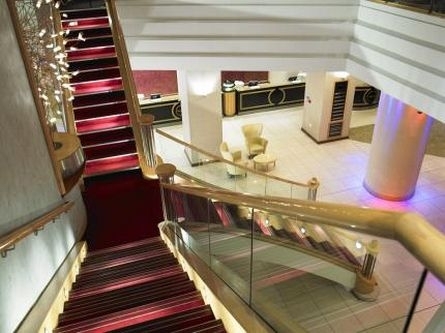 One of the benefits of staying at the Carlton is its close proximity to the city’s attractions. Edinburgh Castle and the Palace of Holyrood House are within easy walking distance, while the Royal Botanical Gardens less than two miles away.